What is Gator® SpeedLoad™ ? 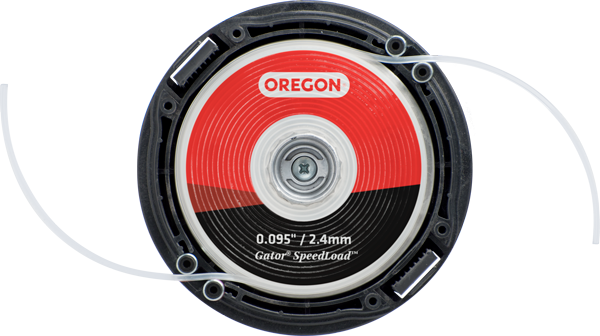 It’s a new and Oregon exclusive brush­cutter cutting system. 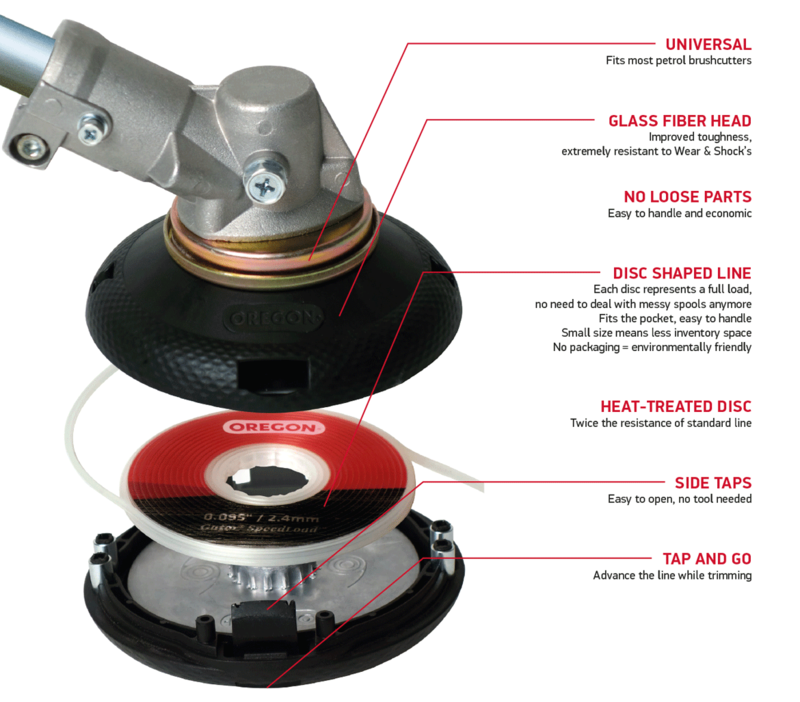 The system is composed of a head together with a disc shaped line. It is designed to facilitate and speed up the loading of trimmer line. Brushcutters, trimmer lines and trimmer heads: Sources of frustrations ? A survey made in May 2015 with 300 professionals and 300 homeowners has indicated that more than 70% of brushcutters users are confronted with problems when dealing with brushcutters accessories! It’s difficult to load line. The head is not durable, it breaks or wears too quickly. It’s complicated to find the right head that will fit a machine.